Is this the first “Summer Anthem” of 2019? Hey, I’m Mozingo… Yes, that’s my last name. My first name is Mike, or Michael if you’re feeling fancy, but nobody calls me that! I mean, really, when you have a last name as unique as mine, you might as well run with it. I grew up right here in the Coachella Valley and I know it like the back of my hand. As a kid, I remember complaining about how the valley was SO BORING and that nothing cool ever happens, and now, we are home to some of the biggest events IN THE WORLD! It’s funny how fast things can change. 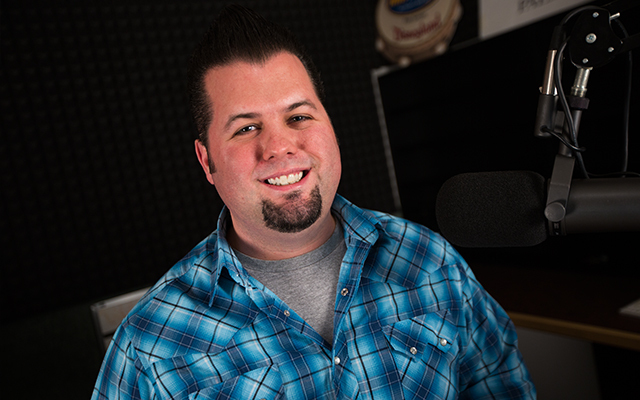 After 13 years in the retail industry, I was promoted to customer (laid off), but instead of finding another retail gig, I decided that I would pursue my dream of working in radio. From my college radio show at KCOD (College of the Desert), to weekend DJ, to full time on-air blabber, my journey in the radio industry has been amazing. They say that when you do what you love for a living, you “never work a day in your life.” Now, I’m not sure if that’s completely true or not, but I will say that I LOVE being on the radio and interacting with the listeners. It’s certainly better than wearing short sleeve shirt and a clip-on tie every day. Yes, I was on the Geek Squad. Yes, I might have fixed your computer at some point, and yes, I may have cut you off on the freeway in the “Geek Mobile,” for that last one, I apologize. Deep down, I’m just a big ol’ nerd. I love Star Wars, Dr. Who, video games, comic books and pretty much everything you’ll find at Comic-Con. I’m a huge Angels fan; I love craft beer, whiskey and the occasional cigar. Aside from all of that though, my first passion was music. As a kid, I grew up listening to oldies in my parent’s car and around the house, which laid the foundation for my love of rock music. As I grew older, I discovered more “underground” or “subculture” styles of music like punk, ska and rockabilly. These days, I love all kinds of music. My favorites include Aerosmith, Brian Setzer, The Clash, The Ramones, The Mighty Mighty Bosstones, Stray Cats, Dave Matthews Band, U2, Elvis, The Misfits, Chuck Berry, Billy Currington, Gary Allan, Darius Rucker, John Mayer, Tom Petty and COUNTLESS others. I love music, and I love talking, so really, what else can I do for a living but work in radio?